I am an associate professor in the Department of Philosophy at Carnegie Mellon University. In addition to my primary appointment at Carnegie Mellon, I am an associate fellow at the Center for Philosophy of Science at the University of Pittsburgh and a visiting professor at the Munich Center for Mathematical Philosophy (part of Ludwig-Maximilians Universität). 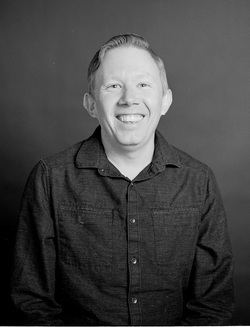 My research focuses on game theory, agent based modeling, and the philosophy of science. I received a Ph.D. and M.A. in Philosophy from the Department of Logic and Philosophy of Science at the University of California, Irvine. Before that, I received a B.S. in Philosophy from Kansas State University. While at Kansas State I was an intercollegiate debater, with some success. Many more details than you care to know may be found on my academic CV. I spend a lot of time working, as one might expect. When I stumble over spare time, I like to play poker, garden, or ride my bike. 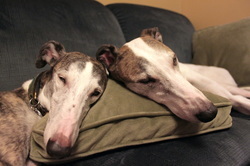 Korryn and I have adopted former racing greyhounds through Steel City Greyhounds. 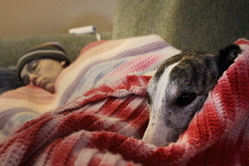 Although I was never really a dog person, I've found greyhounds to be truly amazing pets. Despite being "working dogs" that generally get very little human attention, greyhounds tend to be friendly and relaxed around people, even children. I would really encourage anyone considering a dog to adopt one. You can find more information about adopting a greyhound at Steel City Greyhound's website and at The Greyhound Project. Steel City Greyhounds is also a wonderful organization staffed entirely by volunteers. If you have spare time or money, they could certainly use your help.